Spanish reservoirs are struggling to reach full capacity amid a chronic water shortage. 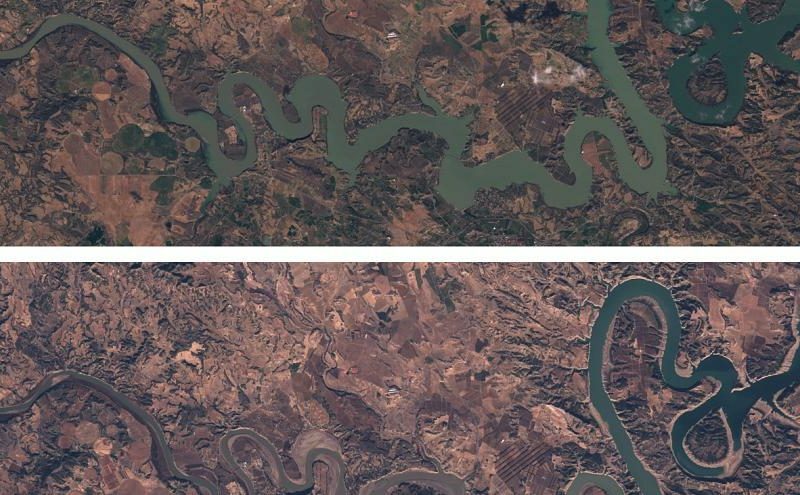 The latest satellite pictures show how Spanish reservoirs have dramatically decreased in size over the years. Thanks to images acquired by the Sentinel 2 satellite from the EU Earth observation programme Copernicus, Euronews was able to visualise how Spanish reservoirs have recovered some of their volume with the latest rainfall but they remain nowhere near full capacity. The Alcantara reservoir near the Portuguese border has been replenished thanks to the torrential rains. The rise of water levels in Spanish reservoirs throughout March sees them currently just over half full (53,7%), according to authorities. However, experts warned that this small victory will not be enough to address a much bigger problem. “The drought is the result of a combination of factors,” Gonzalo Delacamara, academic director at el Foro de la Economia del Agua, an initiative started by Universidad de Alcala, told Euronews.